The Bug Mat is an aid to sorting and recording the animals that are collected by pitfall trapping or bug-hunting in a variety of ways. The sturdy and durable printed vinyl mat measures 120cm in diameter. The 12 sectors are labelled with the names of the animal groups most often encountered during bug collecting activities. Simple line drawings help to define the groups. 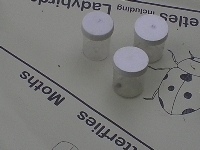 If animals are collected singly in small closable containers, they can be placed on the mat in the appropriate place. This provides a quick visual summary of the composition of the invertebrate community in the habitat being investigated. 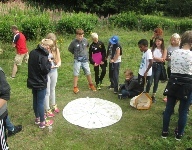 A digital photo taken from directly above the mat creates a permanent record of the “catch” and from this, numerical data can be generated which can then be used to create graphs or to write descriptions of the differences between habitats, collecting methods etc. The Bug Mat can be purchased by contacting us via phone or email. Orders can be accepted from schools and other established organisations. In other cases, payment must be received before dispatch. 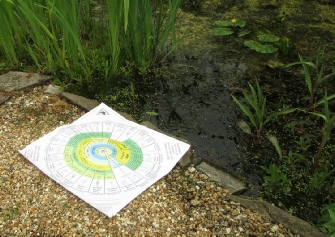 Our range of printed vinyl mats are durable enough to be used wherever you are sampling, pond-dipping, or bug-hunting. 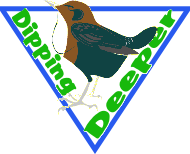 They have been developed following many years of experience in delivering outdoor education. 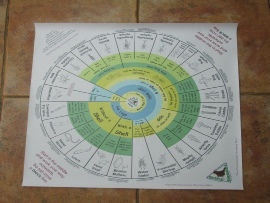 The Bug Mat will let you sort invertebrates after a bug hunt. The Freshwater Sorting Mat provides a way to make an initial division of animals found in ponds and streams. The ARMI underlay mat is a tool for use by riverfly monitors carrying our their regular surveys for the Riverfly Partnership. More mat designs will follow. 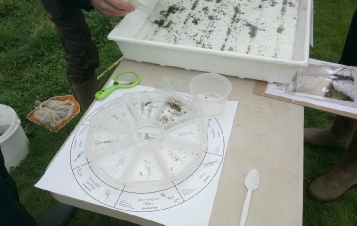 With the Freshwater Sorting Mat alongside the pond or steam, there is a simple method available for identifying the invertebrates that have been caught. Essentially, it is a key. The start point is the middle of the circle and the choice made at each of the concentric boundaries will lead you to a conclusion on the outer rim. Here, each type of animal is illustrated with a typical example. 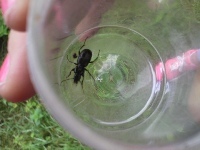 It is possible of course, to go straight to the picture that matches the animal, and then moving towards the middle will allow the identification to be verified. The standard mat size is 62 cm x 62 cm (2ft x 2ft) and will lay on top of a table or can be placed on the ground. Larger sizes can be made to order. The wipe clean vinyl is ideal for the waterside environment where initial identification of animals can be made by placing them in groups such as “dragonflies” or “beetles”. Identification can then be taken further with other charts or books if necessary. Some additional guidance notes are written outside each of the sectors. A more detailed description of this mat will be available in a downloadable pdf file shortly. 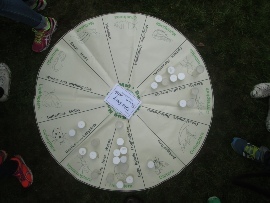 This mat has been designed specifically to aid with the monitoring of riverflies under the Riverfly Partnership scheme. 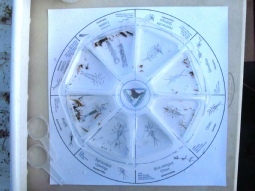 The eight groups of invertebrates that are required to be selected and counted, can be sorted into the divided plastic tray with the mat acting as a guide to their placement within the divisions. The key points in identification are printed on the outer circle and there are large clear illustrations to offer additional guidance. The ARMI Underlay Mat can be purchased by contacting us via phone or email. Orders can be accepted from established organisations. In other cases, payment must be received before dispatch.